Throwing your bike sideways in the air, usually referred to as a “whip,” is among the most stylish of moves a mountain biker can do. The Whip Off World Championship at Crankworx Whistler pits the best riders in the world in a head-to-head battle to see who can pull off the biggest and baddest whips on the mountain. This event may be just as much fun for the riders as it is for the audience. Some riders even decided to throw the whip out the window and go for even bigger tricks like high-flying backflips, even though they would not be scored. At the end of the day however, 17-year-old Finn Iles of Specialized, who also won the event in 2014 (a few days before his 15th birthday) took the win with his seriously cool, ridiculously sideways whips. 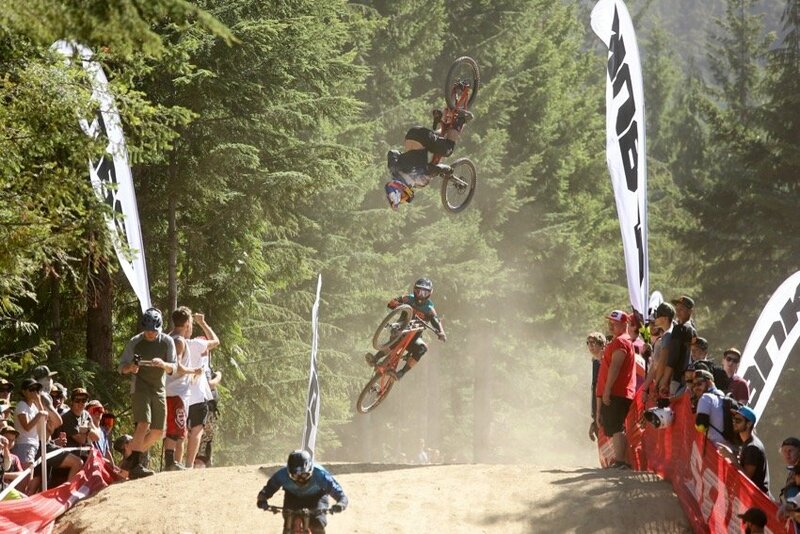 Deep Summer Photo Challenge Whistler – The Best Riding Photos You’ll See All Year!